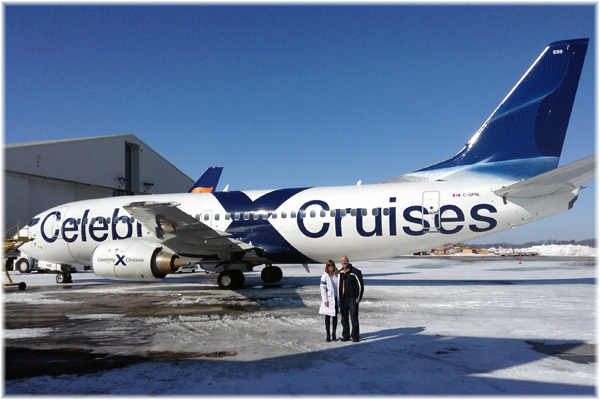 This week we have a look at cruise line brands. Brands are supposed to differentiate products but with so many multiple and sub-brands these days, we wonder if they also serve to confuse. The branding of cruise lines did not really start in earnest until Carnival and Royal Caribbean started acquiring other cruise lines but has nevertheless been rampant now for a quarter century. Meanwhile, Genting Hong Kong last week confirmed an order for two 5,000-berth ships for Star Cruises in addition to its orders for Crystal Cruises and Dream Cruises, with the latter set to accept its first ship later this year. In a counter-move to the many cruise line acquisitions of recent years, Royal Caribbean last week announced that it was divesting itself of a 51% share in Pullmantur Cruises in Spain. And Fincantieri’s Italian subsidiary Vard announced orders for two more expedition ships from unidentified owners. In March, Skift Travel News carried a story headed “Cruise Lines are in the Middle of a Branding Evolution,” talking about a new logo at Holland America Line, a new tag line “Feel Free” at Norwegian Cruise Line, a modified tag line “Modern Luxury Lives Here” at Celebrity and a lighter shade of blue at MSC Cruises. In many cases, these small changes took a year of research and reconsidering their position. And most of these rebranding efforts have come with hefty advertising budgets. This kind of activity has been ramping up recently as more ships are delivered and cruise lines try to differentiate their product from everyone else’s, although how buying another private island in the Bahamas, as MSC is doing, begs the question of how this might be differentiating. But what of the so-called brands themselves? There once was a time, pre-conglomerates, when lines each had their own identity, partly based on the nationality of their crew. These identities were not generally called brands at the time. Then Carnival Cruise Lines, until then using the tag line “The Fun Ships,” bought the more sober Holland America Line in 1989 and two new cruise lines, Celebrity Cruises and Crystal Cruises, were formed the following year. In 1993, Carnival Corporation became the parent company of both Carnival Cruise Lined and Holland America Line. Rather than a neutral holding company name such as the International Mercantile Marine name used by J P Morgan 100 years ago or say Cruise Line Holdings, the parent company adopted one of the line’s brand names as the holding company name too, a move that has created much confusion ever since. Not to be outdone, Royal Caribbean Cruise Line bought Celebrity Cruises from the Chandris family in 1997 but decided to retain the brand on which a lot of money had been spent to pitch it a level above the others. In so doing, Royal Caribbean Cruises Ltd became the holding company while the cruise ship brand was renamed Royal Caribbean International. Many at the time thought this had been done the wrong way round and that the International should have been adopted by the holding company, something that has been proven since with this group’s expansion into Spain, Germany, the UK, Australasia and now China. In 2003, with the merger of Carnival Corp and P&O Princess Cruises plc, the new holding company became Carnival Corp & plc, in a dual listing in the US and the UK, where the company became a Public Limited Company. The old P&O Princess group was split up, with Carnival taking over the commercial operation of Princess Cruises in exchange for ceding Cunard’s management to P&O Cruises. At the same time, the new Southampton-based P&O and Cunard grouping took on the name Carnival UK. Some time after Carnival UK followed the Costa Cruises Group, with head office and ships, including those operated by its German arm AIDA Cruises, all registered in Genoa. In more recent times, Costa Asia has been added as a third member of this group, and Costa have set up a ship management company in Hamburg under the name Carnival Maritime. In North America, meanwhile and much more recently, a third grouping was formed when Holland America Line, Princess Cruises, Seabourn and P&O Australia all became part of the Seattle-based Holland America Group. 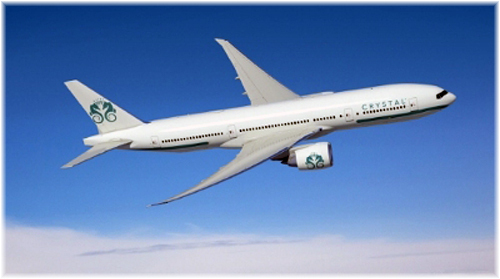 And this year alone, we have had Crystal Cruises turn into a whole series of brands, with Crystal Cruises adding Crystal River Cruises, Crystal Yacht Cruises and Crystal Luxury Air to its menagerie. A few years earlier Silversea Cruises had expanded into a sub-brand, Silversea Expeditions, while at the other extreme, Compagnie des Iles du Ponant became Compagnie du Ponant, then just Ponant and, more recently, Ponant Yacht Cruises & Expeditions. While one sometimes senses uncertainty, ownership changes have occurred as well. The whole new concept of ultra-luxury expeditions, originally brought about by Silversea and now being implemented by Seabourn, Crystal, and now Regent, begs another question. How does roughing it by camping ashore in the Antarctic go with the ultra-lux shipboard experience offered by these lines? This would seem to be the ultimate mix of camp and castle. Don’t forget to remove your tiara before climbing into that sleeping bag! Finally, Windstar, which now has three “Wind” tall ships and three “Star” mega yachts with the addition of the original Seabourn trio, makes do with just Windstar Cruises – one brand for two products. Equally, a company such as Viking River Cruises, now that it has expanded into ocean cruising, has Viking Ocean Cruises and Viking Cruises as well – three brands for two products. And now, every press release from a Carnival company, whichever brand, whether it be Fathom going to Cuba or christening the AIDAprima in Hamburg, seems to stem from Carnival Corp & plc. This actually reduces each brand’s differentiation and probably just serves to confuse the public. But is a holding company a brand? Even though Carnival Corp & plc ended up taking most of the wrap for the loss of the Costa Concordia, we don’t think so. And this is only the beginning. With the American craze to partnerships and brand association we now have a whole welter of on board brands such as Bulgari, Elemis, L’Occitane en Provence, Hermès and Swarovski, to name just a few, all looking for space in spas and on shelves and as bathroom amenities. 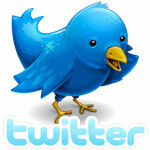 See The Cruise Examiner for July 4, 2011, for more on this. So, now, here is your quiz: who is Carnival Corp & plc and how does it relate to Carnival Maritime; and who is Carnival UK, and how does it relate to Carnival Cruise Line (as the original “Fun Ship” brand has now been renamed in the singular)? As part of a big ship order with Lloyd Werft Group, Renting Hong Kong last week announced two newbuildings for Star Cruises for 2019 and 2020. From the released rendering of the new ships, it appears that Star will be reverting to the original Norwegian Cruise Line placement of two funnels abreast. 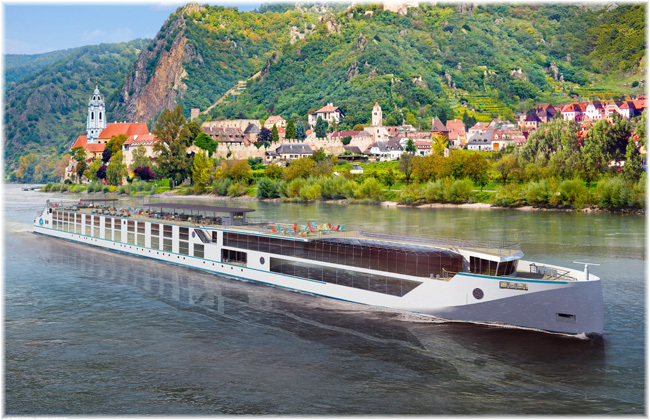 In addition to this pair of ocean ships, six river ships (up from the original four) have been ordered for Crystal River Cruises, a 100-passenger polar yacht for Crystal Yacht Cruises and a 1,000-passenger cruise ship for Crystal Cruises, as been previously announced. The Star ships will be the Global Class for worldwide cruising at 201,000 tons and 5,000 lower berths and are being designed and built for the Chinese market. “Passengers on our ‘Global’ class ships will enjoy an international class cruise experience to all parts of the world, yet in an environment where they will feel at home, whether it is food, culture, shows, enrichment programs or excursions,” said Genting Hong Kong chairman Tan Sri Lim Kok Thay. Two each are on order of the “Global” and “Dream” classes, but more “Global” class orders are expected, with either one or two new ships a year being delivered after 2020. PSR = Passenger Space Ratio (gross tons volume per lower bed). While the “Dream” class are being completed by Meyer Werft under an order placed by Star Cruises in 2013, the other ships will all be built by the now Genting-owned Lloyd Werft Group of Bremerhaven. Royal Caribbean has announced it is selling a 51% stake in Pullmantur to a Spanish private equity company called Springleaf. The sale is for the company, not the ships, which Royal Caribbean will retain and charter back to Pullmantur. The Pullmantur interest includes its Croisières de France brand in France. After Carnival’s Costa Group shut down Iberocruceros last year, it seems the cruise conglomerates are no longer enamoured of the Spanish cruise markets these days. Fincantieri’s Norwegian subsidiary Vard has signed a letter of intent for two 240-berth expedition cruise ships with an unidentified owner. The ships will each measure 14,500 gross tons, with a length of 450 feet. 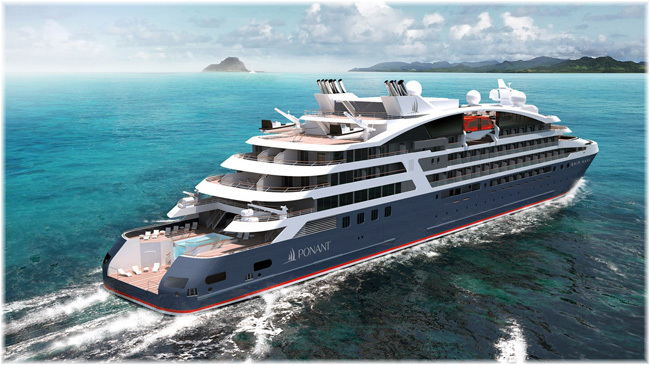 The new orders are closer to Ponant’s original size than to the four ships Ponant ordered from Vard this March. The hulls will be built at Vard’s yard in Romania and outfitting will be done in Norway. Delivery is scheduled for First Quarter 2019 and First Quarter 2020. Of the dozen ships listed here, the Crystal Endeavour and Scenic Eclipse will be built to Polar Class 6, while the remainder will be Ice Class vessels.